I can meet or talk during specials times. I will be attending 3 Tier 2 meetings in Cape this year for our school’s PBIS committee. I will be attending 3 or more meetings in Cape as the school math coach for the Collaborative Works committee. I taught my first two years at St. Vincent de Paul grade school in Cape Girardeau in Kindergarten and fifth grade. 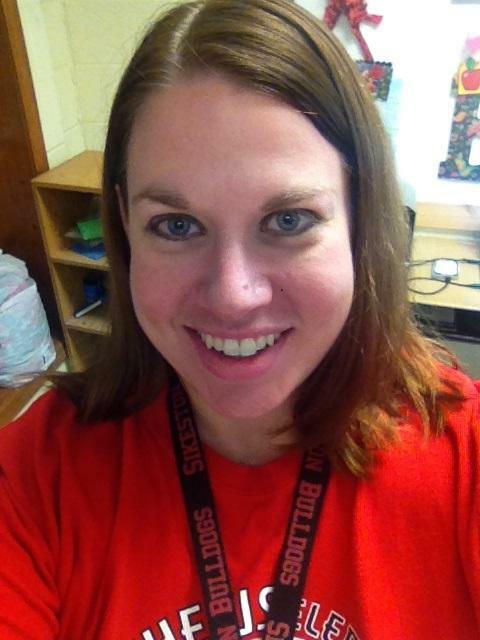 This will be my ninth year teaching fourth grade for Sikeston. I currently teach math and social studies to Ms. Schwab’s and my class. I celebrated my twelfth anniversary in July with my husband, Robby. Robby and I have two beautiful girls, Jaeda who is 9 and Riya who is 7. We have 2 dogs, Phoebe and Sarah and 1 cat, Samson. My family and I are big hockey and basketball fans and go to games throughout the year. I also love to read and watch movies!